Artisanal miner. Photo by Ortalli, Wikimedia Commons. Antioquia’s Governor Luis Pérez said that his province, located in the central northwestern part of Colombia, is the first one to prevent 25 tonnes of mercury from gold mining from polluting local rivers and forests. During a meeting held with officials from the Mining Ministry and other government representatives, Pérez said that the initiative called Antioquia Free of Mercury is yielding positive results. “We are the first territory actively making efforts towards eradicating the use of mercury and we are close to achieving this goal,” he told local media after the meeting. 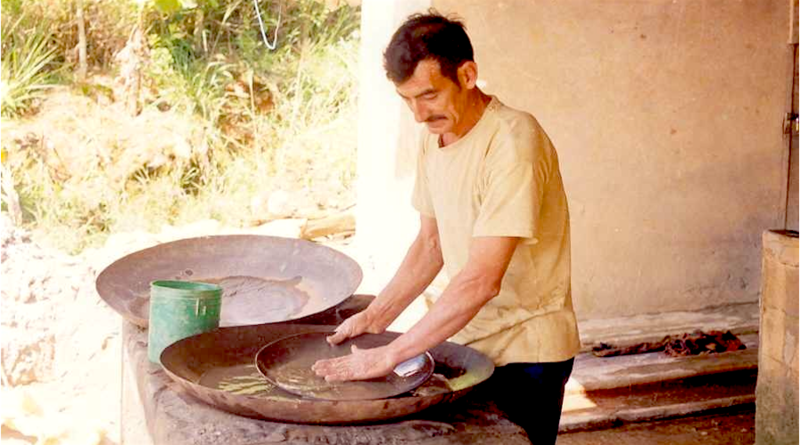 Antioquia Free of Mercury has been working on teaching small-scale miners to use a Zero Mercury processing plant designed by the Bolivarian Pontifical University and which uses biotechnology to avoid the use of the liquid metal. This prompted a decline in the use of mercury by 2 tonnes per year in eight municipalities. For the past 10 years, the province has been making efforts to control illegal mining operations and create a registry of artisanal miners. According to the Mining Deputy Minister, Carlos Canté, half of the 5,000 artisanal miners working in the region have been registered and 52 contracts have been signed. For 2018, Antioquia expects to sign 200 contracts with small-scale miners and provide them with 50 new areas to operate.